Combat is brutal. You can slash, shoot, parry and dash, mechanics that, for me, usually inspire a state of flow regardless of a game’s difficulty. 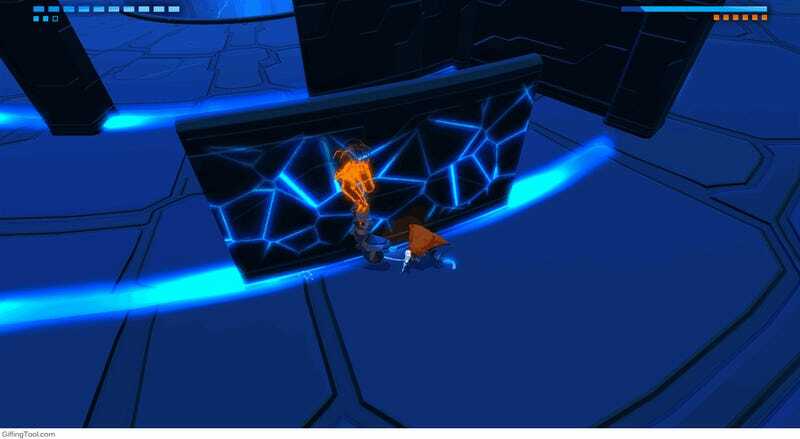 The key, it seems, is memorizing bosses’ animations and training your reflexes to adequately respond to their attacks. No problem — but the delay on your dash mechanic (intentionally, I’d imagine) makes it extremely difficult to time when dodging an area-of-attack blow. 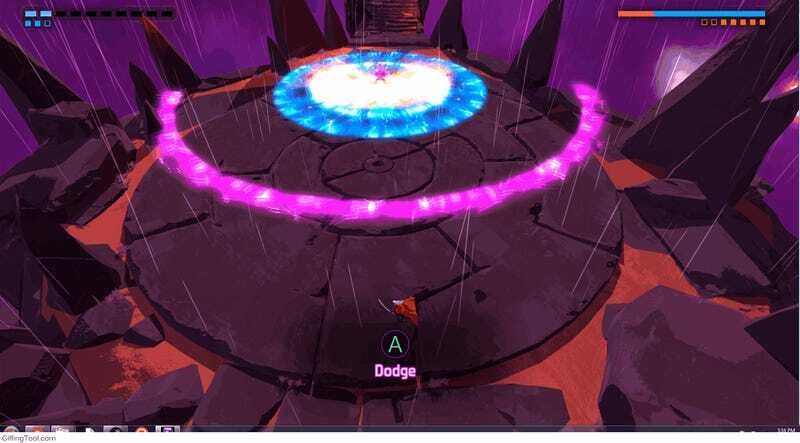 In more direct combat, if you land three successful slashes against an enemy, your character goes into an automatic attack animation. It’s a reward for rare successes, but also made me feel like I had less agency over my character. It’s distancing, but looks excellent. 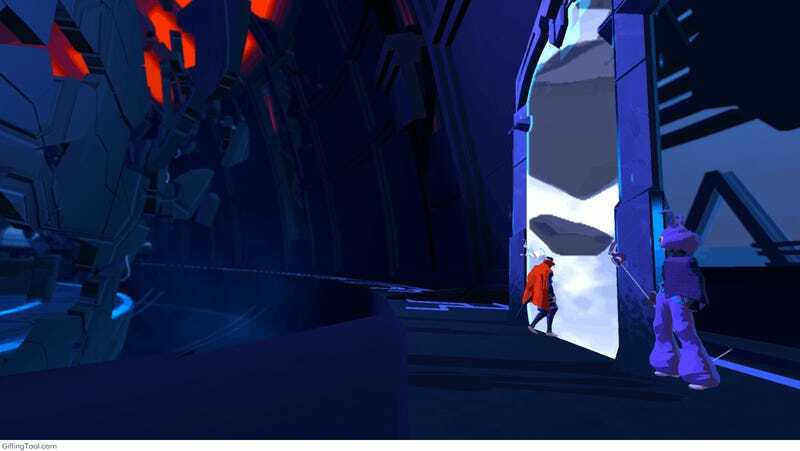 As I played Furi, I kept thinking of Hyper Light Drifter, another demanding-by-design slash-and-dash game. HLD has similar combat mechanics but appears more indifferent to its own difficulty. Classier, really. When you die in that game, the music doesn’t even pause. The game’s menus don’t denigrate you for failing to meet its standards; it just implicitly asks you to try harder. And you want to. 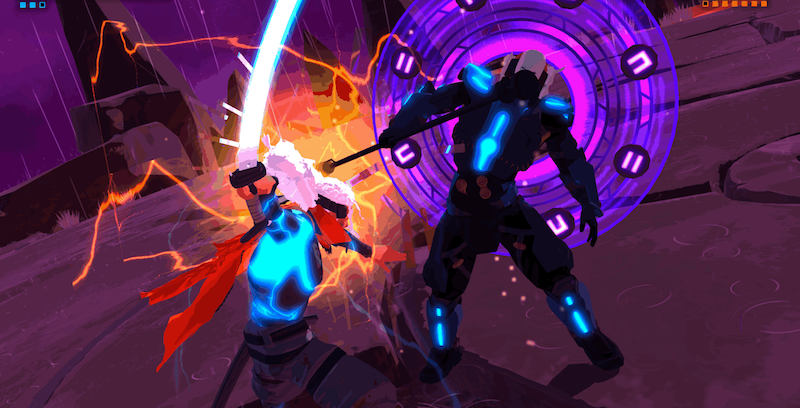 Furi, by contrast, antagonizes players with its difficulty so unabashedly that I felt like it was consciously and specifically catering to gamers who like to brag about being good at hard games. 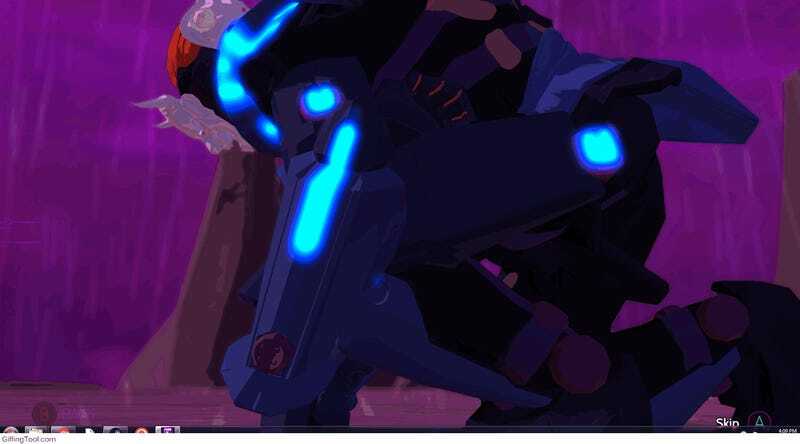 I wanted to love Furi. Its trailer begged me to recall the adrenaline rush I associated with my favorite boss fights from my youth, where dynamic and touching storylines added urgency to these one-on-one matches. But what I thought would be the game’s greatest draw — its promise of epic brawl after epic brawl — detached me from investing in my own success. I soldiered on if only to prove that I wasn’t a “Promenade” kind of gamer.